What do I charge for Oddjobbing? Gardening work, decorating etc. What is a sensible price? One problem I've had over the years of casual labouring / oddjobbing is how much do I charge for doing a job. 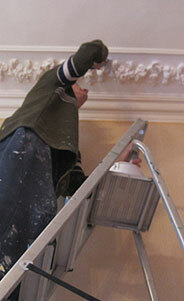 Should I charge more for certain types of work, should I charge by the hour or by the work and skill involved. Sometimes I've done well and sometimes I've failed miserably! There are two types of work here; the customer who wants you to work on a kind of permanent regular arrangement, wanting you to do say four hours a week on a Tuesday or other day if it's raining. This may fluctuate a little bit as quite often they will have a couple of extra things they want doing, so you work around that and if it's 'more work, more pay' fair enough! The other work is where you have a kind of circle of Customers, usually this is where they only want you when they want, normally to cut the grass, the hedge or whatever, in other words 'a Service'. The hourly way is quite simple, you come to an arrangement over the pay and get on with it. Most of these customers have larger properties, so you don't have to worry about too many overheads except the cost of getting there - they will have their own tools which you use etc. 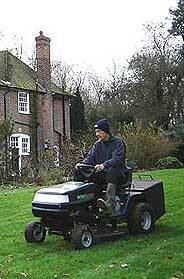 The problem is more for those one off jobs where you have to turn up cut the grass and go. This leads into more overheads quite often and some people may not accept an hourly rate on the theory they think you're going to do the job as slow as possible! I should say in most cases you have soon got to know them and they make their mind up as to if you are trustworthy or not. 1. How much petrol am I going to use getting there? 2. Will I have to take away the grass cutting and weeds etc? 3. If I do how much time is that going to take to clear up at home? 4. Do I use my own tools? Time to get there plus petrol (say 30 mins) = £7, Actual time spent at job = 2 hours £20, time to clear their rubbish away = 30mins = £5. So although you're there for 2 hours, if you charge £20, you could be saying goodbye to £12 and you've in real terms only earnt £8. This will usually come into the price for the job and not an hourly rate, so knowing your abilities, approx time to do the job plus the overheads are imperative. 3. The almost certain having to dart out because you've used more paint than you thought and need some more. There are so many things which can make your work slower than you thought. I reckon on my oddjobbing, decorating and gardening work around 75% of all the jobs I've done have taken me longer than expected. So if you give a price and the customer asks how long it's going to take, be very aware. If you say £200 and you find it only took you a day, they may find that harsh even if they thought it was an acceptable price in the first place. Chances are you haven't written the final bill, so if you should have a guilt problem, you can always be honest and say it didn't take you as long as expected and will reduce the total by £30. This would also have the benefit that they'll ask you to do something else in the future. If you found you spent a day more than you'd quoted for, take it as a lesson learnt and go onwards and upwards. Word of mouth is the best and least expensive form of advertising, news gets round quick and if you're not ripping people off, you'll find your telephone at home ringing quite often with prospective customers! Be up front and if a customer turns you down on price, ask them how much the other person is charging. Be careful though, some may not like you doing that. Most of all; How long will it take 'on the job', how long will it take getting there, equipment needed and even allow for the occasional break to have something to eat etc. Never put aside that you have to pay your way in life, be positive, be motivated, but don't take it hard should you have the occasional slip up. Don't miss the hard bits! It's nice to use their's!